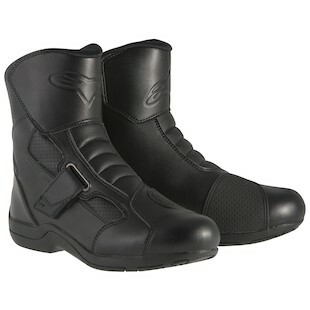 Alpinestars’ commuting and touring boots have always been a reasonable priced, well designed staple in the marketplace. Their new Roam 2 and Ridge boots update old favorites with new components. The boots now have a more contemporary look and have improved upon their tested functionality. The fully redesigned Alpinestars Roam 2 Waterproof Boots feature updated looks and materials throughout. The design is meant to support long days spent on the bike in comfort. The soles will be solid enough to support your weight on the pegs for many miles yet still be flexible enough to see the sights at the annual rally. 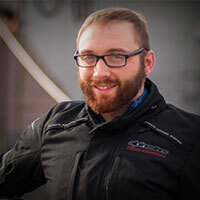 The DryStar waterproof, breathable lining will keep you comfortable and dry as well during your time spent on the open road. 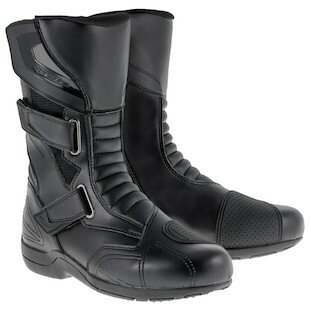 The new Alpinestars Ridge Boots have been updated in every facet. They have been given a more generous touring fitment and updated looks and materials throughout. This boot was designed for the casual commuter or tourer interested in a medium-height boot. The Drystar waterproof, breathable membrane will help you stay dry and happy. the Synthetic material with localized perforations ought to help keep cool as well. All in all, these boots are meant to keep you on the bike and comfortable in just about any on-road scenario. In most cases, under a pair of jeans, they won't look too shabby either. That way, walking into a restaurant or local watering hole, you won't look like you just spent the day riding the backcountry. Walking into the office on Monday, you may raise a few eyebrows, but that’s what casual friday is for, right?